A lot of clients and prospects as us about our ability to manage their auto pilot SEO strategy in order to help them get found online (yes, we manage SEO strategy). However, we almost always find ourselves changing the conversation from SEO to SEM. Guess what? The response by users to your ad copy and landing page have just given you everything you need to set up your SEO strategy. Google is shy about bragging about this because we suspect that they’re reluctant to brag about the idea that when you pay for search, you’ll get better SEO results. To our knowledge, there is NOT a direct relationship between the two, but understanding your SEM results and more importantly, acting on them, will help you develop your SEO strategy. Also, don’t forget that SEO has severe limitations to it when you’re starting out. You can’t create landing pages for every keyword and it’s nearly impossible (more likely: impractical) to create a landing page for every phrase that you want to be popular with. However, SEM gives you the opportunity to diversify your lexicon and ultimately the traffic you generate by using clever and creative synonyms, mis-spellings and other tactics for grabbing attention of a diverse range of interests. Let’s pull back for a second. Most people want to approach SEO first because they want something for free. Hey … we’re just calling it as it is. And a lot of the time, they’re right. However, focusing only on SEO as your only component of your digital strategy to get found online is a mistake because you’re missing out on so much more. Strategy is essential: mapping out your overall strategy, including an assessment of your current status is vital. Strategy includes all things, including your overall business objectives, specific goals and future plans for change. Strategy also includes competitive research, integration with other media and coordination of all departments to ensure everyone is satisfied with your digital presence. Structure relates to everything about your site design and the platforms that you’ll leverage. Don’t forget about mobile, gaming and tablets! A critical component of ‘structure’ is testing everything on every platform. If you don’t, rendering and version control might backfire on you with small groups of consumers that might be your most fierce critic – or supporter. 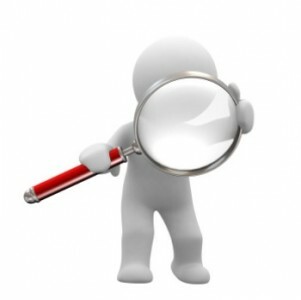 Search is, of course, related to everything that helps you get found in the market place ahead of your competitors. As mentioned by the White Label SEO Company specialists, SEO is always the first topic of interest, but it’s paid search that generates the real insights you need in order to implement a viable long-term SEO strategy. Social captures everything related to in-bound traffic. Many people refer to this as ‘earned media’. A solid and successful ‘social’ strategy tells Google that people like you. The more they like you (ie. the more links you earn), the more Google believes you are a credible operator or presence in the market. Be careful about social. It’s the other ‘free’ component of a digital strategy that has been proven to be very costly to a lot of marketers. Local placement and online deals are an essential component of social that many marketers are missing out on as they rush to get ‘liked’ on Facebook. If you ask us, we’d much rather help you sell something at 50% off when users buy two or more items vs getting ‘Liked’ a thousand times over. Sponsorships represent your out-bound strategy that isn’t captured by paid search. This is online display ads, paid placements, integrated marketing strategies with other publishers, advertising with platforms like gaming or mobile and the multitude of other digital opportunities that materialize every day. It’s hard to get clients to consider sponsorship opportunities and most media people do a poor job of organizing effective sponsorship campaigns because they just want to ‘buy a box and fill it’. We pride ourselves on creative solutions that integrate your brand with well-known and respected publications. Statistics become a nightmare if you don’t create effective benchmarks. The easiest way to get statistics is by implementing Google Analytics tracking on your web site. It’s important that you frequently test the tracking in order to ensure that it’s reporting all of your traffic properly. The benefit of integrating Analytics with your site is that you can also integrate AdWords with Analytics, giving you a massive array of valuable comparative information about your users. You can also expand on your statistical resources by leveraging Google WebMaster Tools. While this topic is too complex for this article, we encourage all advertisers to consider this angle in order to test and leverage different landing page scenarios. If you’re not comfortable with surrendering your data to Google, you can always get basic data via your host or by implementing other ‘enterprise class’ tracking and reporting platforms like Omniture or WebTrends. In the rush to get found via the top results with organic search listings, digital marketers are missing out on substantial opportunities to generate valid and qualified traffic using other digital tools. We encourage all organizations to leverage SEO to the best extent possible, but we also remind everyone to focus on the bigger picture, starting with an effective strategy.